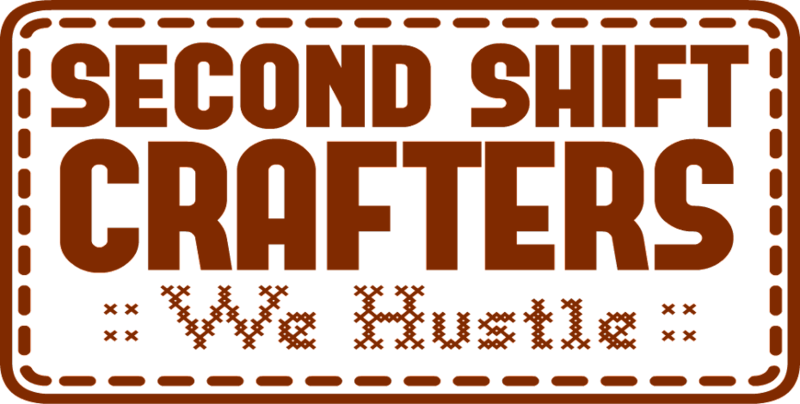 SECOND SHIFT CRAFTERS was formed in the fall of 2014 by a renegade group of gals who don’t believe in limits. As an artisan, Carrie was working it at different events and wanted more opportunity for local and handmade artisans, and Jessica was like, LET’S DO THIS. And here we are, hustling for all of you out there, to get accessible and ongoing markets for the Pittsburgh community. We are determined to be part of the revolution of Local Pittsburgh Awesomeness. We are partnered with all sorts of local crafters and artists to basically be all about Pittsburgh artisans - not about bringing people in from other cities, nor about peddling resale companies or third party businesses. We're just here for fun, and some small business spotlights. We're not just a pop-up or an occasional event, we are part of an ongoing handmade COMMUNITY. JESSICA WINTER-FRANKLIN is an industry expert in Human Resources, Business Development, and Marketing. Her experience in business ranges from global manufacturing, software development and providers, the music industry, to her current gig in online retail at ModCloth. Using her Communications and Theater background, she started in Marketing and Event Planning in California and moved into HR on the east coast, also working in Europe, Canada, and the UK. A specialist in Talent Management and Organizational Development, she helps companies engage their employees and foster an environment of motivation and openness. Jessica is also on the Board of The Hollywood Theater, and generally hustles about town for different galleries and organizations, but SSC is her heart. Growing up in a family of artists, creativity was always afoot, and imagination ran rampant. Crafting and costuming have always been her creative outlets, and SSC is the perfect blend of her professional and creative worlds. CARRIE ROBERTSON is the owner and proprietor of Hip Modern Soap, which she founded the company along with her husband John Elliff after a few of their experiments began to garner some commercial interest. Since then, her one-time hobby has sprouted into a fully-realized small business and has expanded to include products such as lotions, scrubs, and award winning bath bombs. Hip Modern Soap was named "Best Soap" by the 2017 Pop Shop America Arts Awards and have provided products for the official Discovery Channel 30th Anniversary Shark Week press kit. She lives in Wilkinsburg, where her home doubles as the office/production floor/warehouse of the company, and can be found there most evenings concocting something fragrant and beautiful to put on your skin. She would love to tell you what she enjoys in her free time....but she never has any.